Golf is similar to trading. I’ve been playing golf for 3 years now. What got me out there initially was to spend more time with family and friends in a different setting. I’m always down for being outside, soaking up the sun and green views. From a scoring perspective, breaking 100 in my first year was nothing other than a distant dream. In my second year, I finally began to crack 100 by one to a few strokes, due to lessons I had received. Now in my third year, I shot my lowest score yet, an 86. For those who don’t know, to shoot “Par” is a score of 72 – think of it as performing in line with the S&P 500. So, what happened? And what do I really mean that golf is similar to trading? You can spend as many hours as you want on the driving range, but go out on an actual golf course and it’s a whole new game. Hit your driver 250 yards at the range, but shank it 100 yards on the course? 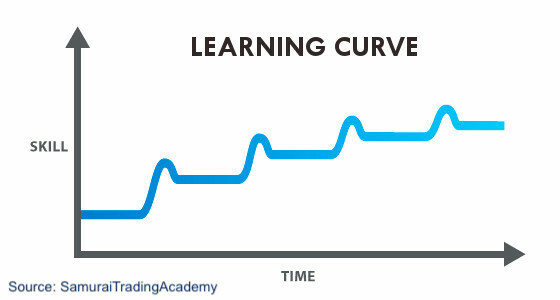 The same applies to trading. You can read as much about theory in books as you want, but it is always different live. You don’t become a millionaire just because you bought “How to Make Money in Stocks” by William O’Neill for $15. You can kill it in your paper trading account, but place some of your hard earned capital at risk in a real account and it’s a whole new game. Also, do you still trade or even think about the market in the same manner you did when you first learned about it? That would be rare in my opinion. Personally, I used to be a fundamental investor and my golf swing looks nothing like it did 3 years ago either. I have a routine that settles into my stance before each shot. I know exactly what I need to do to make sure I have the best chance of making the best shot. Are you able to understand your game well enough that you know which holes to stick with par or go for birdie? Which holes after messing up, getting out of there with a bogey isn’t all that bad? Are you going to play the safer shot or risk it and potentially put yourself in a worse position? Do you know your favorite club to pull out in a certain situation? I know what I like on my charts – price, volume and moving average(s). I am not adding a new indicator each week. Are you confident in your game? Do you have conviction in your analysis? Have you hit that shot 100 times before and know you can do it again? Is there any doubt in your mind about your strategy and approach? Do you know that you can hit the ball exactly where you want it? 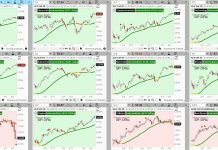 Do you have a favorite trade setup? Do you take that trade when it comes across your screen every time? If you’re not confident in your ability to shoot the lowest score you can, why are you playing? If you’re not confident in your own analysis, why would anyone else value it? Turn on the Golf Channel and you’ll see professionals who are all equally good swing the club entirely different. Hideki Matsuyama pauses at the top of his swing and Bryson DeChambeau doesn’t even bend his forearms. In trading, there are many, many ways to go about it. While everyone likes to think their style is the best and only strategy, numerous time frames and objectives can succeed. It’s a mental game. You’re out there competing against yourself. If you hit a bad shot, you can’t blame your friend. And yes you can be competing against others (or a benchmark), but only you can only focus on yourself and what you are doing. You don’t wake up each trading day and think “I wonder what Steve Cohen is doing...” do you? Do you get distracted easily? Do you decide to mess around with your swing form mid-round? Do you never trade the (insert x) sector, but all of a sudden your chasing because it’s hot? Are you a swing trader, but now find yourself day trading? Do you get angry? Are you not in control of your emotions? In doing so, that always causes more damage. Or does it linger in your mind? The past is the past. That goes for a trade you blundered or your third shot on hole #5. There is always another trade coming. With golf and trading, the more experience you have under your belt the better you become and the more comfortable you will feel as you understand your approach. It’s not how often you trade that makes you better, but how well you execute your strategy each time. The market is a ever changing puzzle, and every round of golf played is a new puzzle to solve. Have I played this course before? Have I not? Even if you have, you will never play two identical rounds of golf. 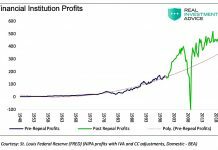 Just like the stock market, no two time periods are ever the same. Luckily, while things don’t repeat, they definitely do rhyme. Are you accountable for your losses? Or is it always whatever the news of the week is – the Fed, the Dollar, Tariffs, etc, etc? The best traders and golfers are well aware of their own human psychology pitfalls, their specific personality traits and finding the common ground between the two. Lastly, notice I never once mentioned equipment as an issue. Sure you always can buy the newest golf clubs or golf balls. You always can buy a newer computer, a more expensive charting program, or more subscription services. But at the end of the day, your results come from your decisions, which are a result of your process and experience, not anyone else’s. P.S. While I spoke about golf here, many of the same analogies can work with other sports – baseball, basketball, football, etc. Any opinions expressed herein are solely those of the author, and do not in any way represent the views or opinions of any other person or entity. NOT INVESTMENT ADVICE – PLEASE READ INVESTMENT DISCLAIMER. Will Stocks Get Deflated by Momentum Slowdown in April? 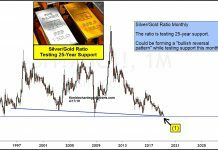 Is Silver / Gold Price Ratio Creating Historic Bullish Reversal?